Only TIGHT sc stitches are required! 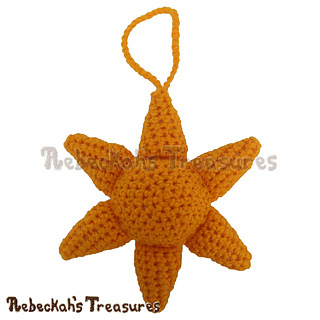 3.25" (8cm) tall in Thread / 6.5" (16cm) tall in WW Yarn. My Only Sunshine is here to brighten up your day! 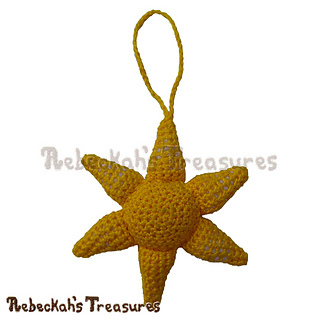 Written instructions include how to crochet the amigurumi sunshine pictured in your favourite yarn weight. 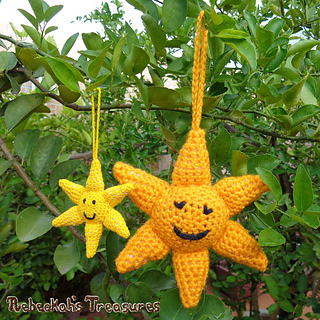 A photo tutorial (18 pics) will help you assemble the basic amigurumi shapes that make up these gorgeous rays of sunshine. 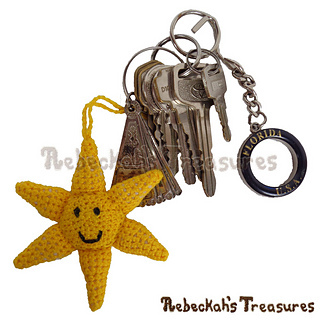 When crocheted in thread, it makes a delightful key/bag charm. Crochet it with yarn, for an adorable addition to a baby mobile. 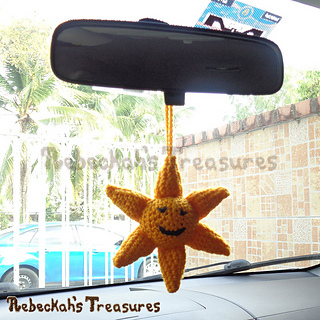 It would also make a fantastic ornament or rear-view car mirror decoration. Ideas are limitless! 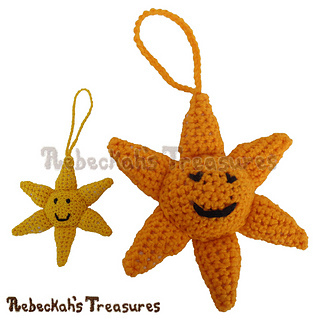 • Cotton Thread + 1.05mm hook = 3.25” (8cm) tall sunshine. 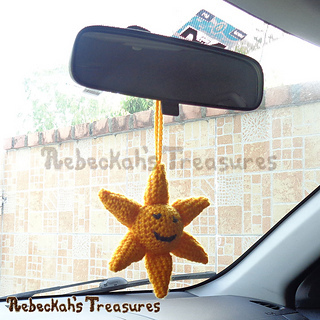 • Worsted Weight Yarn + 3.75mm hook = 6.5” (16cm) tall sunshine. Note: These sizes are approximates. Your sizing may differ depending on your chosen yarn, hook size and tension. Adjust these factors to get desired size. Please Note: The amount of yarn used depends greatly on whether you are crocheting with thread or yarn. Thread will use about 20m. Whereas, yarn will use about twice that amount.